Advantages: Well laid out text, long overdue subject, superb colour artwork. Without fighter opposition, the Stuka proved to be a very effective weapon. Short for “Sturzkampfflugzeug”, its name is synonymous with the Blitzkrieg and during the early months of World War II, it wreaked havoc amongst the enemy troops. Many of Hitler’s Allies were impressed and placed orders with Germany for their own examples. This book from Mushroom Model Publications is about those acquisitions. The soft cover book contains over 100 black and white photographs within its 104 pages. Most are printed two per page and as an added bonus; two colour images have also been included. There is some lovely artwork presented with Jacek Jackiewicz doing a splendid job. 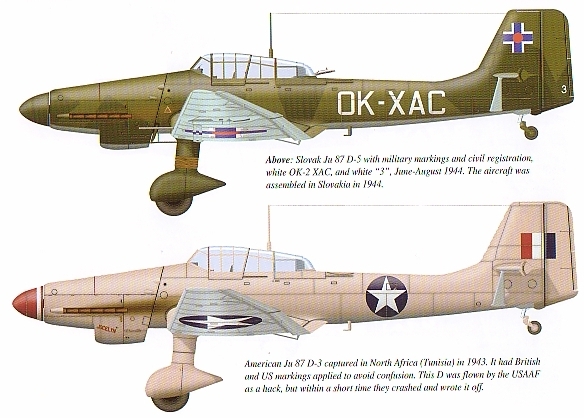 Twenty seven different airframes are illustrated with many showing both upper and lower surface views. These allow the reader a clear picture of the placement of the various National markings. The book is set out in a logical fashion with the initial chapter being devoted to the first country to receive the Stuka. Hungary didn’t take full delivery of them straight away though, due to the former having a running battle with Romania. As the latter country was supplying Hitler with oil and other supplies, a diplomatic solution had to be reached first. Chapter two covers the types use by the Regia Aeronautica with the sub-sections describing the various areas of operation. Included is a fascinating piece written about Giuseppe Cenni, also known as “the little dancer”. After surviving near starvation as a POW, Cenni went on to fly the Ju 87 and pioneered the idea of skipping the aircraft’s bomb across the water at his naval targets. He scored well in over 100 combat missions and was awarded one of Italy’s highest hours, the Medaglia d’Oro al Valor Militare, when he failed to return from a mission in 1943. Romania, Bulgaria and Slovakia were also recipients of the Stuka and further chapters relate their use of the aircraft. As with previous sections of the book, there is good photographic coverage to show the aircraft concerned. The contribution made by Russian pilots is not forgotten and the penultimate chapter is devoted to them. Many defecting Soviet airmen and ex-Soviet POWs found their way into combat units, some even receiving the Iron Cross. The final piece is for those aircraft captured and tested by other Nations during the war. America, Britain, the Soviet Union, and even Yugoslavia had examples to analyse and test during the war. The text is easy to read although there is the odd area where one would like further clarification; this generally relating to the political status of some of the units concerned. Interspersed throughout the book are tables that provide a variety of information. Depending on the country concerned, there is data on the variants of Stuka flown, crew composition, fate of aircraft, and even serial numbers. 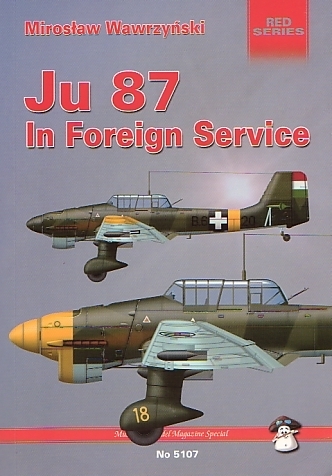 For those wanting a different slant on the operational use of the Ju 87, this book is a start in the right direction. It provides a good overview of the different countries that used the type and is backed up with some really superb artwork.